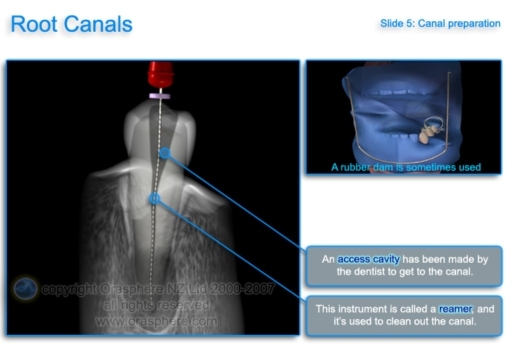 A root canal is a treatment to repair and save a badly damaged or infected tooth. 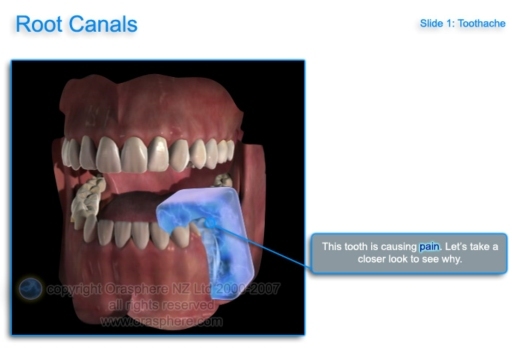 The procedure involves removing the damaged area of the tooth (the pulp), cleaning and disinfecting it and then filling and sealing it. 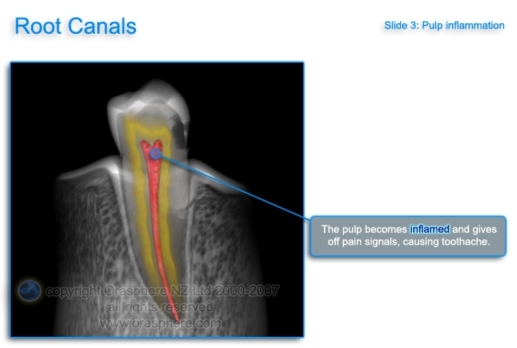 The common causes affecting the pulp are a cracked tooth, a deep cavity, repeated dental treatment to the tooth or trauma. 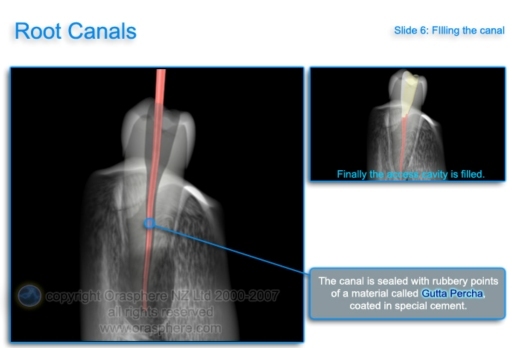 The term “root canal” comes from cleaning of the canals inside the tooth’s root. 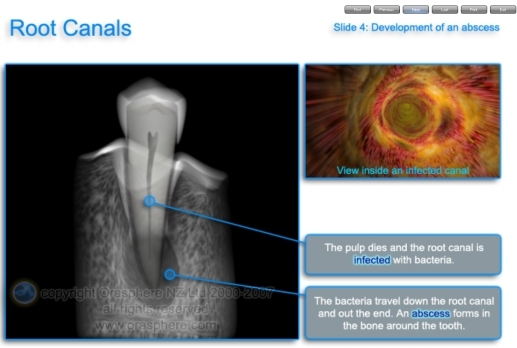 Without treatment, the infection can become severe enough that the tooth has to be removed. 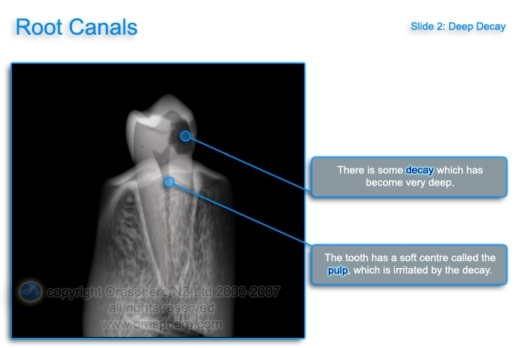 X-ray – if we suspect you may need a root canal, we will first take X-rays or examine existing X-rays to show where the decay is located.